Creating more memories every moment. Custom embroidery border design featured on bedding at Kips Bay Show House. Bedroom designed by Katie Ridder. Leontine Linens appears in first London showhouse. Bedroom Designed by Turner Pocock. Leontine Linens featured in AD in Tory Burch's Southampton home. Leontine Linens appears on the front page of Vogue.com in a project done by interior designer Jenny Wolf. Jane Scott Hodges continues her speaking circut. Speaking in Fort Worth Texas. 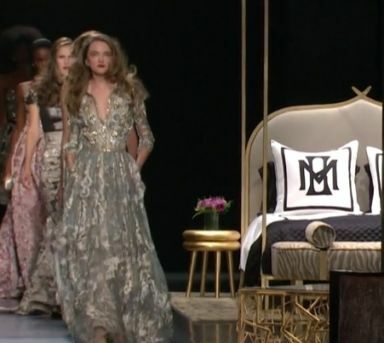 Leontine Linens dressed the bed at the Badgley Mischka Fall 2017 Fashion Show. 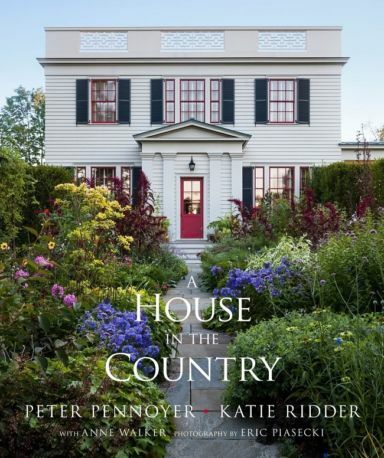 Leontine Linens is featured throughout A House In The Country by Katie Ridder and Peter Pennoyer. Jane Scott Hodges and Charlotte Moss take on the South - from Richmond to Charleston. Jane Scott Hodges talks table linens with Flower Magazine. Leontine surpasses 20k followers on instagram! Jane Scott Hodges is featured as a One Kings Lane tastemaker. Our monogram collection continues to grow! Jane Scott Hodges and Leontine Linens is named one of 10 recipients for Martha Stewart's American Made award. A newly minted design - the Louisa is introduced. Leontine Linens is featured on the cover of Architectural Digest in the beautiful home of designer Katie Ridder and architect Peter Pennoyer. 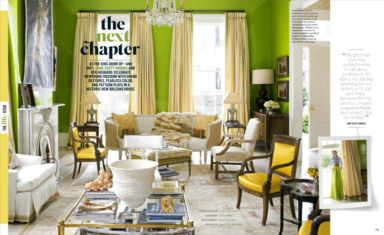 Jane Scott and Philip Hodges' New Orleans Greek Revival home is featured in House Beautiful Magazine. Leontine Linens is invited to participate in Garden & Gun's annual Jubilee - featuring the best of the south. 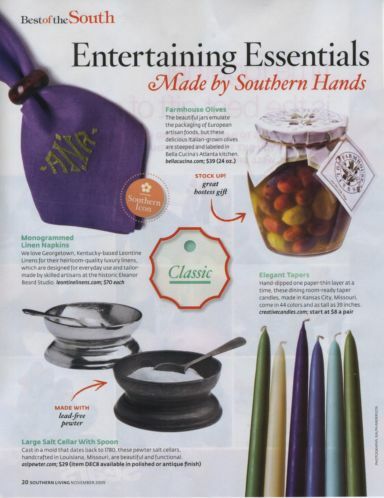 Leontine Linens is featured as one of Neiman Marcus' highly sought after Fantasy Gifts in its annual Christmas Book. Jane Scott publishes her first book with Rizzoli: Linens For Every Room and Occasion. Leontine Linens joins the social media world. Leontine's ever popular jewel round was included as one of Oprah's favorite things. 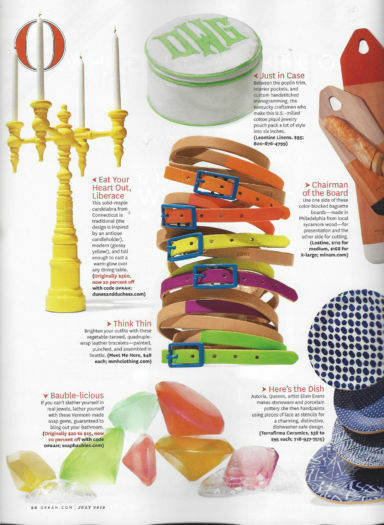 Leontine Linens is featured in People Magazine in the beautiful home of Dee and Tommy Hilfiger.. 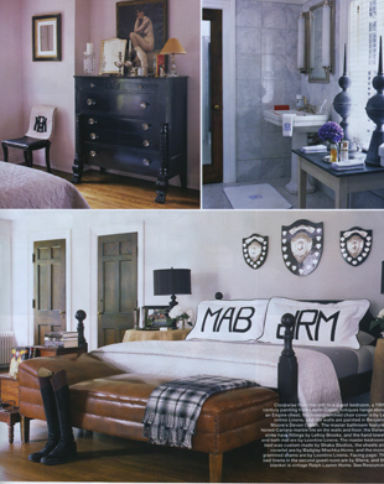 The classic, yet bold bedroom of Mark Badgley and James Mischka featured in Elle Decor. Leontine Linens dinner napkins named an entertaining essential by Southern Living Magazine. Hurricane Katrina hits New Orleans, just days after the Leontine showroom opened. Showing much pride for her beloved city, Jane Scott had Leontine Linens back open in a matter of weeks. New Orleans flagship store opens on iconic Magazine Street in Uptown New Orleans. Leontine Linens is mentioned in the best seller - Bergdorf Blondes by Plum Sykes. The Frances monogram is introduced a Bergdorf Goodman exclusive design. A Leontine Linens monogram table runner graces the pages of Martha Stewart Weddings magazine. 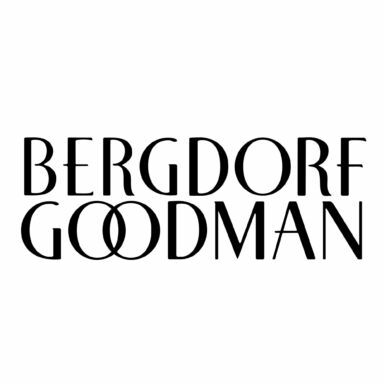 Leontine Linens becomes the exclusive linen line in Bergdorf Goodman in New York City. First House Beautiful feature on Jane Scott Hodges and Leontine Linens published. Leontine Linens receives national televised attention on the Martha Stewart show. Leontine Linens acquires the historic Eleanor Beard Studio in Hardinsburg, Kentucky. 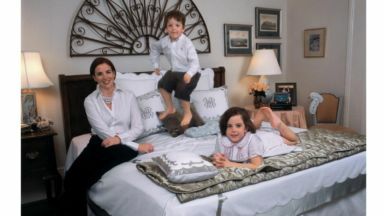 Leontine Linens first full bed feature is published in Southern Accents Magazine. 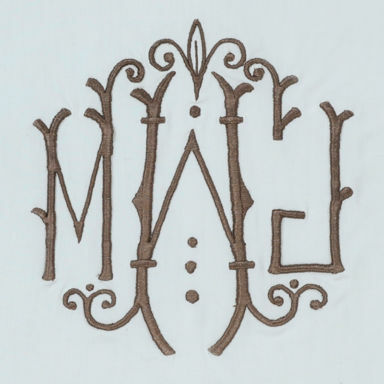 The Addison monogram introduced in 2001 first appeared in Southern Accents magazine. 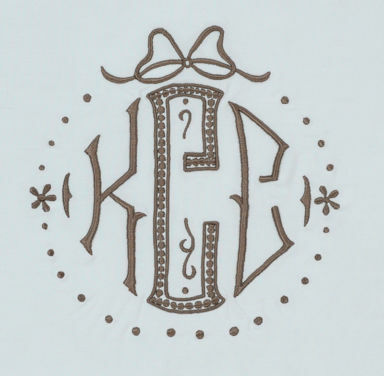 The Althea monogram is introduced after a New Orleans friend found the design in her grandmother's sewing box. Leontine Linens is founded by Jane Scott Hodges from her cottage on Leontine Street in New Orleans. Jane Scott began selling linens out of her home.